Post of Team Rector and Post of Team Vicar of Egremont. We are looking for a new Team Rector and a Team Vicar, on one and a half stipends. We would be prepared to consider a husband and wife "team". There is the possibility of an additional post as part time Hospital Chaplain; the role is currently under review, so a conversation with the Archdeacon would be the appropriate next step. Egremont is an historic market town situated between the World Heritage Site of the Lake District National Park and England’s ‘Energy Coast’. Its economy and community (pop. 9,000) were shaped significantly by mining associated with West Cumbrian iron and steel production. More recently it has become closely linked with the nuclear industry. The area continues to include significant farming. The clergy appointed will oversee the parish church at Egremont, a daughter church at Bigrigg, the parish church at Haile, and a mission church at Thornhill. 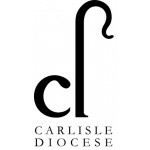 They will be part of the Central Calder Mission Community with recently appointed fulltime colleagues at St Bees, and Cleator Moor, and a more longstanding house for duty (ecumenical) colleague at Ennerdale. These roles are located within a medium sized benefice in West Cumbria between Ennerdale and St Bees. It represents a mix of urban and rural life and centres on the market town of Egremont with its the many outlying villages. To develop the benefice within an ecumenical Mission Community based around Egremont, St Bees, Cleator Moor and Ennerdale. To lead, with colleagues and the PCCs, the parish church of Egremont and its daughter church at Bigrigg, and the church of Haile. To encourage growth in discipleship, in vocations of all sorts, and in mission. To love all God’s people in the benefice. are at home in, and enjoy, both urban and rural communities. a hospitable rectory, and well-regarded schools, on the doorstep of stunning mountain and coastal landscapes.